Das Trommelfeld besteht aus vier Rahmentrommeln, die durch niederfrequente, kaum hörbare Signale aus einem unter ihnen abgelegten Lautsprecher zum Klingen gebracht werden. Der Höreindruck des Trommelfeldes variiert innerhalb der Installation sehr extrem. Frequenzen, die auf manchen Positionen kaum hörbar sind, werden an anderen Stellen in fast schon körperlich spürbarer Lautstärke wahrnehmbar. Die dynamische Varianz der Installation kann zusätzlich beeinflußt werden, indem die von der Decke herabhängenden Instrumente wie Schaukeln in Bewegung versetzt werden. Die Klänge des Trommelfeldes können so kinetisch moduliert werden. The word Trommelfeld contains similarity to the German word for drumhead/eardrum/membrane tympani and that indicates the special way of sound synthesis inside the installation through vibrating membranes stimulated by air pressure. But the neologism Trommelfeld also indicates aspects of spacial distribution inside the work. 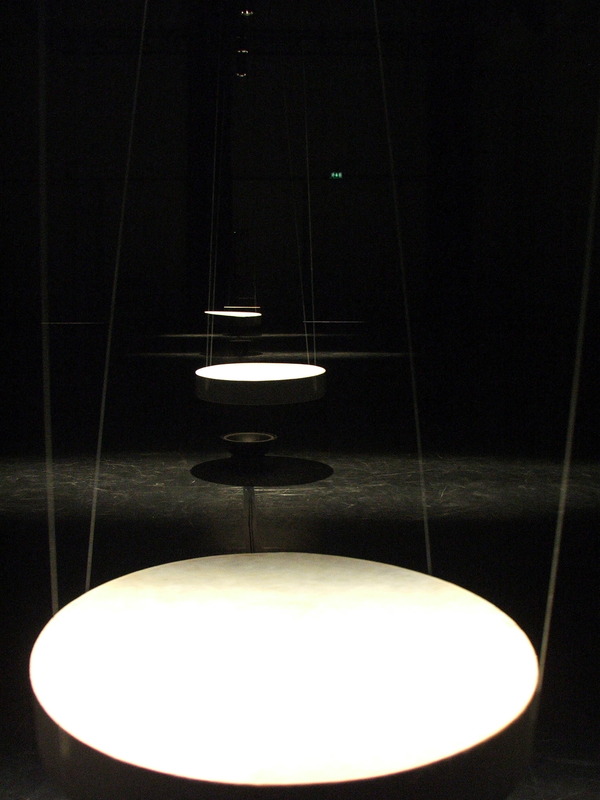 Trommelfeld is a kinetic sound installation with four frame drums with diameters between 50 and 64 centimetres. 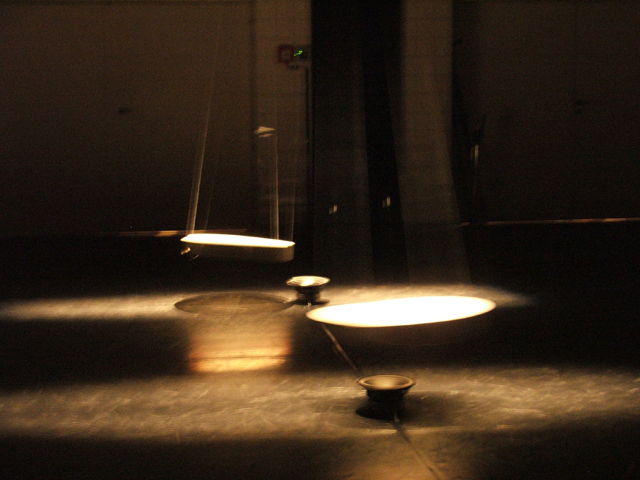 The instruments seem to hover above the floor because they are fixed with four thin strings at the ceiling of the room. Underneath the hovering instruments sub range loudspeakers emitting an inaudible subsonic signal, which stimulates the membranes of the drums. 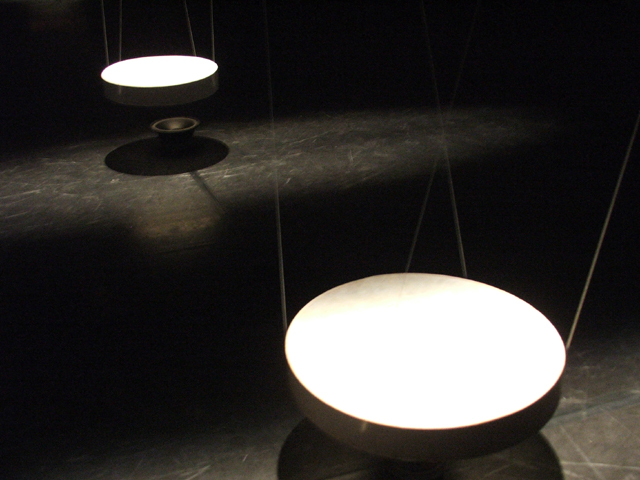 Each of the signals is balanced to the resonance of one drum. 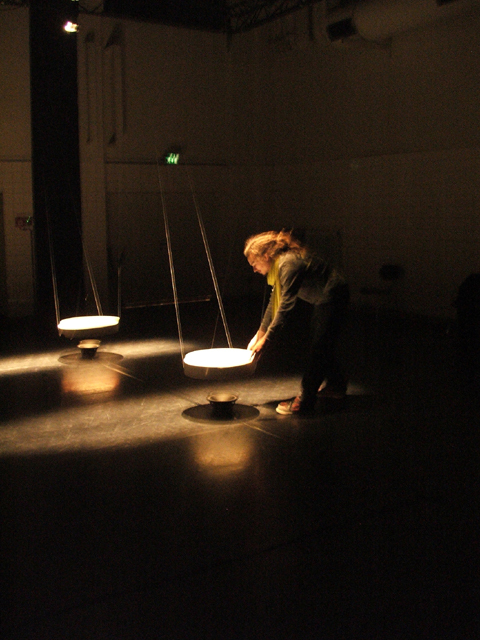 Moved by the air pressure of the loudspeakers signals the drums begin to emitt static and permanent sounds which can be vitalised through an intervention of the recipient, who is invited to kick the drums like swings.The swinging drums then pass the speaker in regular lags of time. The movement of the drums can be heard as a pulsing interruption of the drum sounds until the kinetic energy of the swinging drums ebbs away. 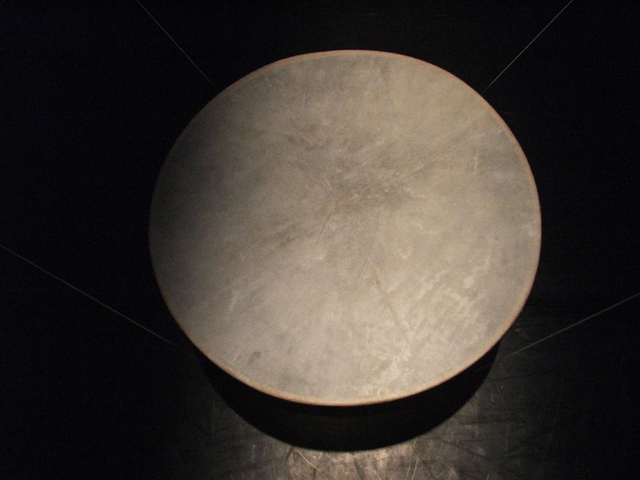 After the drum has come to rest again, it sounds permanently again.